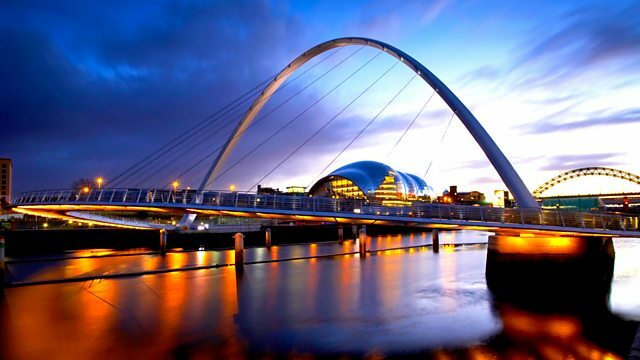 Live from Sage Gateshead, Royal Northern Sinfonia under Lars Vogt. Smetana: The Bartered Bride Overture. Mozart: Symphony No 38. Dvorak: Cello Concerto (with Tanja Tetzlaff). Lars Vogt and the Royal Northern Sinfonia perform Mozart's Symphony No.38 and Smetana's Bartered Bride Overture, plus Tanja Tetzlaff performs Dvorak's Cello Concerto in B minor. Clemency Burton-Hill introduces the fifth of the category finalists in this year's brass competition. Sam Dye plays music by Folke Rabe, Debussy and Ropartz. Mozart's symphony revels in his lifelong love affair with the Czech capital, with its intense radiance and lively animation. Dvorak's concerto reveals a homesickness for Prague and the bohemian style, so much so that it was composed on both sides of the Atlantic as he made his return home. Orchestra: London Philharmonic Orchestra. Conductor: Giancarlo Guerrero. Performer: Sergio Azzolini, L'Onda Armonica.